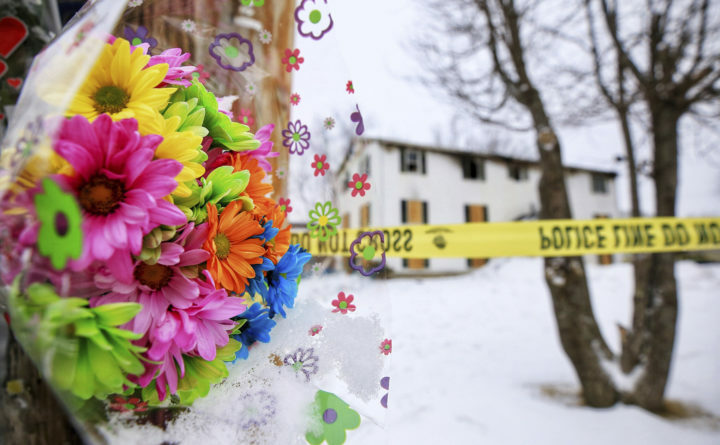 Flowers are seen Saturday near police tape outside 10 Bell St. in Berwick, where fire Capt. Joel Barnes lost his life in the line of duty battling a fire at the apartment building Friday. Joel Barnes, a fire captain with the Berwick Fire Department who died fighting an apartment blaze, hadn’t lived in Shapleigh long, but among the firefighter community in southern Maine, he was well known and well liked. Fellow firefighters said Barnes was a man they could count on when it mattered most. Barnes’ father, Michael Barnes, said his son wanted to be a firefighter since he was 10, and that he understood the risks that come with the job. Michael Barnes said his son and another firefighter became trapped on the third floor of an apartment building, where Joel Barnes protected that firefighter from the heat and the flames as the two waited to be rescued. The public services for Barnes will be held 11 a.m. Sunday at the Cross Insurance Arena in Portland.